Goodwell, Okla.—The new season of Panhandle State Baseball is just around the corner, and Head Coach Jason LaRocque's outlook is high as he continues into the second year of his tenure at a program eager to embolden the strengths that began to materialize in its previous season. Speaking on the core of his team, LaRocque states, "Our returners have definitely captivated the foundation that was built last year. Real leadership has surfaced in the transition from where we were in spring last year to where we are now and the instauration of this program." LaRocque continued, "They have done a tremendous job of continuing the process and executing our staff's vision." While the veteran players maintain the foundation of the novel Panhandle era, new recruits continue to shape a new identity for the team as a whole. "The connection these players have is extraordinary; I am so eager to see how this team comes together as a unit." LaRocque continued, "The Sooner Athletic Conference is fierce and we have a tough schedule ahead of us, but the focus and manner in which our guys have elevated this program leaves me absolutely thrilled to see them take the field." The SAC has proven itself an ominous threat not only of Midwestern teams, but to national clubs across the board. Assistant Coach and Recruiting Coordinator Keith Schulz, Jr. expanded on his methodology for this season, saying, "We have built up our returners through the off season but we also recruited to replace what we lost and we recruited to our conference. We recruited to not only get to the tournament but to create enough depth to continue past that further into post season now that we have a better understanding of our conference and how to compete in it." 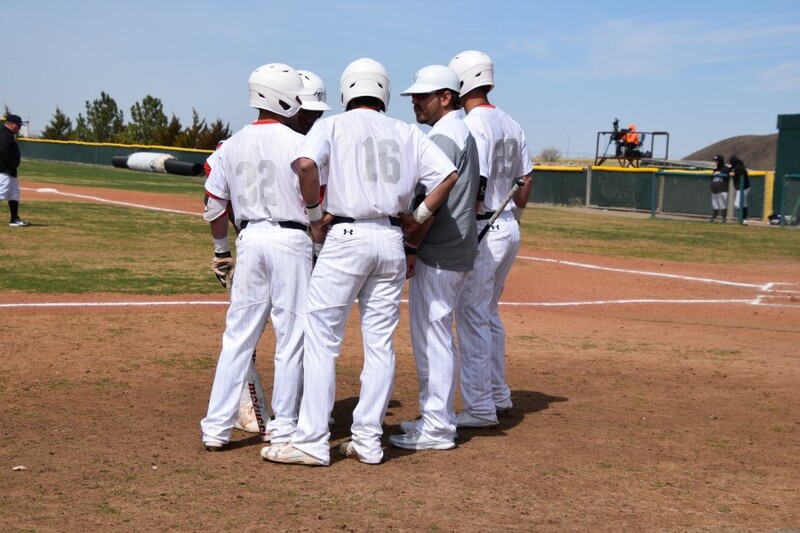 Heading into their first game of the season, followed quickly by a testing tournament in Cleburne, Texas, Schulz expanded, "We want to start the season with the mindset of post season. Every opponent we will face will be in preparation for a tough conference and a tough schedule." Pitching coach Brandon Mercer is also stepping into the season with a high outlook overall, noting that there will be distinguishable differences between the previous and current seasons. More depth in the pitching staff and more quality arms in the bullpen has boosted the team into peak performance for the upcoming season. "With our new recruits and our developed arms, we will be more competitive in the bullpen," Mercer expounded; "At this level, the bullpen becomes the difference in wins and losses 90% of the time, and with the depth we developed and brought in I believe we will have one of the better bullpens in the conference, if not the nation." Coach LaRocque is ready and eager to get the 2019 season underway and hopes the Panhandle community will look forward to joining them along what will prove to be an exciting ride. "Expectations were high last year and they are high this year," says LaRocque. Last season, the team made history as they broke the overall-wins record, going 25-32 on the season and 12-15 in conference, made their first post season appearance in known school history and earned themselves a pivotal victory against No. 23 Texas Wesleyan in the first game of the SAC Conference Tournament. "While last year was a successful season, we still have a long list of goals we hope to accomplish this season. That being said, I am so excited at the potential of this team," says LaRocque, "Our conference is tough but we are fervid in the challenge and a resilient group." The team will head to Winfield, Kansas to face Southwestern College for their opening series on February 2-3. The Aggies will be back on Tuesday, February 5 for their home opener against Friends University.